WOODLAND HILLS, Calif.–Northrop Grumman has been awarded a contract from Space Systems Loral to supply its space navigation system for a next-generation satellite constellation. 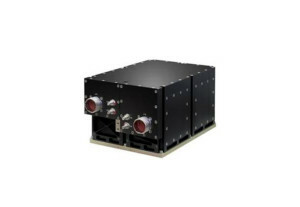 Northrop Grumman will deliver its Scalable Space Inertial Reference Unit (Scalable SIRU™) to SSL, to enable spacecraft attitude control and sensor pointing/stabilization. Northrop Grumman’s Scalable SIRU is the industry standard for high-precision, long-life attitude control solutions supporting commercial, government and civil space missions. The Scalable SIRU has proven its performance during numerous space missions, including NASA’s MESSENGER mission to orbit Mercury and Cassini’s journey to Saturn. At the heart of the Scalable SIRU is Northrop Grumman’s patented hemispherical resonator gyro, which has been used in space without a mission failure for more than 40 million operating hours.